Here at Castleholic, Sunday is for Castleholics Anonymous. Today with Sophie of All Things Royal, the Dutch-language website and forum. However, do not fear, her castle travels also have English summaries at the bottom. Check out her posts on Windsor Castle and Château de Versailles for example. Imagine you could live in any castle or palace in this world for a week, which one you chose and why? 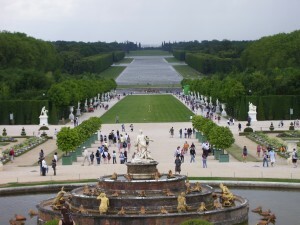 That would be Versailles. You would find me in the garden in spring and summer. It's wonderful! Buckingham Palace, Château de Versailles, Schloss Neuschwanstein – there are all these famous royal homes everyone knows. Can you recommend a few places off the beaten track? Myself not so much, but my parents did some castle - sightseeing in the UK and they have always been enthusiastic about Arundel Castle, Penshurst Place (or castle) and Powerdham Castle. What does a castle or palace needs to have to land on your list of favourite castle or palace? Are there any specific features or were they all build in the same era, for example? I like beautiful gardens (though I don't have green fingers myself) and splendour on the inside. That I can imagine the balls and glitter and glamour of days gone by. 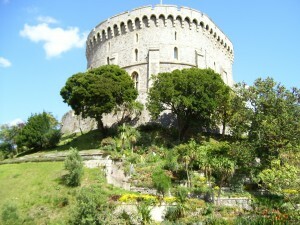 I liked the interior of Windsor Castle, which is later Georgian taste. 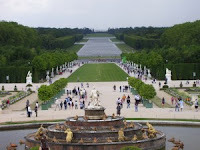 The grandeur of Versailles very much appeals to me, that would be Baroque I guess? The medieval style of Hampton Court is not my favourite. The interior of the Loo palace is Baroque too, I believe, and that appealed to me as well. As the Dutchwoman you are, can you tell us which is your favourite Dutch castle or palace and why? My favourite Dutch palace is the Loo Palace. Because they did a very neat job of showing the style and influences of the people who lived there. Oh my, do I have plans! I want to visit Neuschwanstein, the Hofburg and Schönbrunn, Arundel Castle, Hever Castle, Highclere Castle, Braemar Castle, Castle d'Amboise, the palaces in Berlin/Potsdam. And I also want to do a road trip through the Loire valley and through Germany. in South-Eastern Europe with Marlene of Royal Musings.